This is a FUN event! Meet the Beach’s top wedding vendors in a tropical bayside setting. 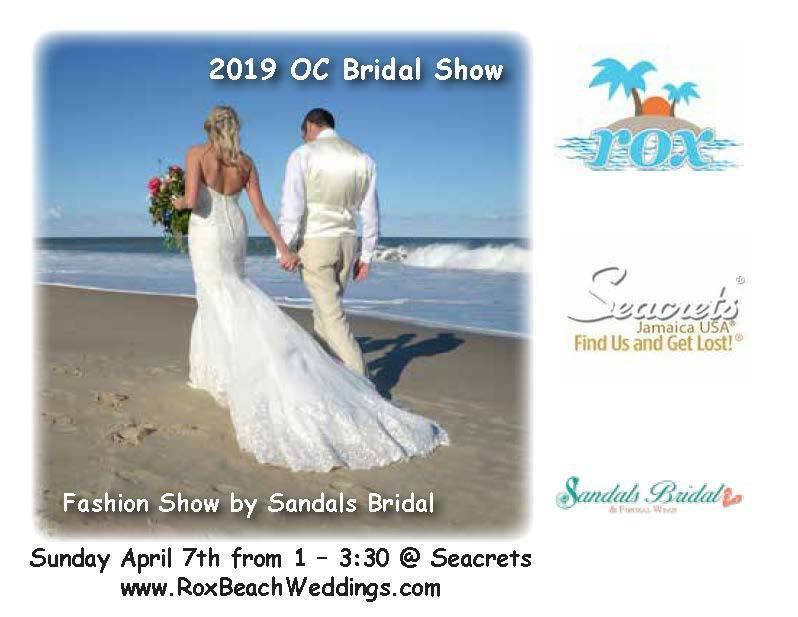 Enjoy free appetizer and dessert samples, vibrant entertainment, and Wedding Fashions by Sandals’s Bridal of Ocean City Maryland. Vendors will be giving away wedding services and gifts including a FREE Caribbean Cruise for Two courtesy of Rox Beach Weddings. This is the must attend event of the year for any Bride considering a Wedding at the Beach! Register Now to purchase your tickets before they sell out!